2004 CHEVROLET TAHOE LT 2WD with 137,746 miles. THESE CHEVY TAHOE'S MAKE GREAT FAMILY MOVERS AD THIS ONE CAN DO IT IN STYLE!! This CHEVY TAHOE is equipped with a powerful 8 cylinder engine that runs very well, cold a/c, warm heat, power steering, power brakes, power windows, power locks, power mirrors, power seats, heated seats, memory driver seat, tan leather interior, AM/FM radio, GOOD tires and much more. THIS CHEVY TAHOE WORKS VERY WELL. CALL QUICK BEFORE IT IS GONE!!!!! 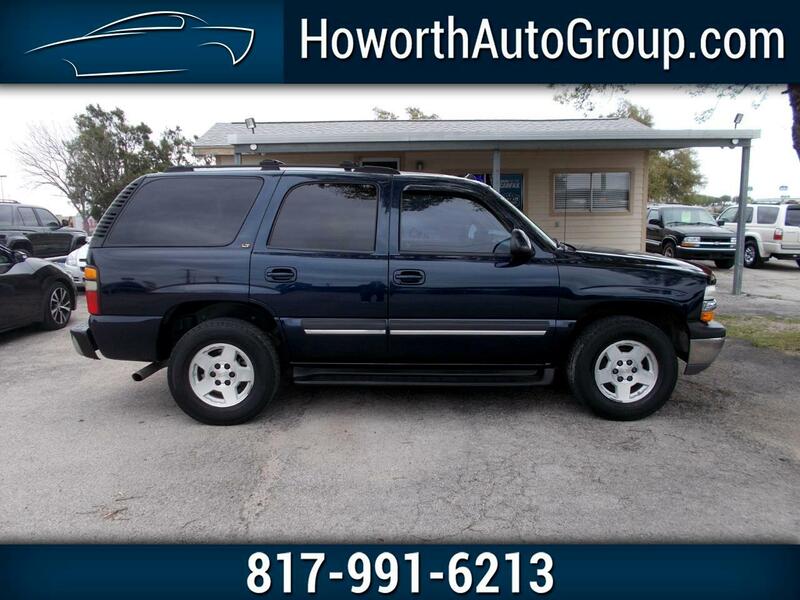 Call Amy Howorth at 817-991-6213 or go online at howorthautogroup.com to apply online today.